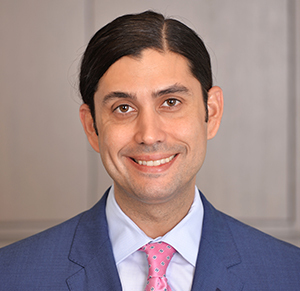 Alexander J. Faria - Rennert Vogel Mandler & Rodriguez, P.A. Alexander J. Faria’s practice primarily focuses on the representation of real estate developers in connection with the acquisition, financing and sale of real property, and matters involving title insurance, survey examinations and other issues relating to the sale and purchase and development of real estate. Mr. Faria has extensive experience drafting purchase and sale agreements, drafting and negotiating loan documents, negotiating lease transactions, and coordinating and advising clients regarding all aspects of real estate transactions. Handled in excess of 2500 commercial and residential real estate transactions. Representation of developers in connection with volume closings of commercial and residential condominium projects, totaling in excess of $2.5 Billion. Representation of lenders and borrowers in loans totaling over $500 million. Representation of owner in various aspects of leasing work for downtown commercial office tower. Representation of purchaser in acquisition of $70 million office tower. Representation of Court Appointed Receiver for a developer in bankruptcy in sale of units in prestigious mixed use condo in downtown Miami, Florida consisting of over 300 residential units and commercial spaces.